First published in 1986. The teaching of children with severe learning difficulties had received little coherent critical analysis. Long-held assumptions and implicit beliefs were embedded in curriculum content and teaching methodology, thus creating and maintaining handicapping conditions. 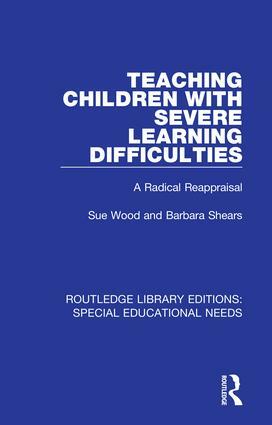 This book raises questions about underlying value judgments relating to the status and rights afforded to children with severe learning difficulties and the implications for education and teaching. Possibilities for change are discussed in relation to the curriculum, the content of the educational programme and the teacher-pupil relationship.